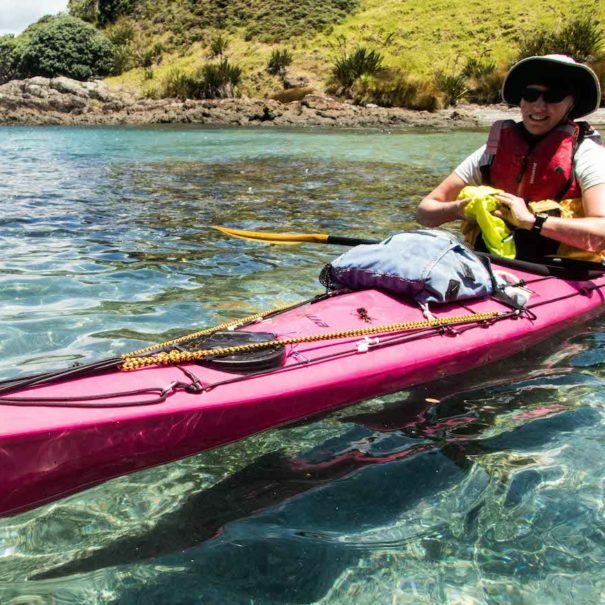 Kayaking Bay Of Islands and Northland’s outer coast. 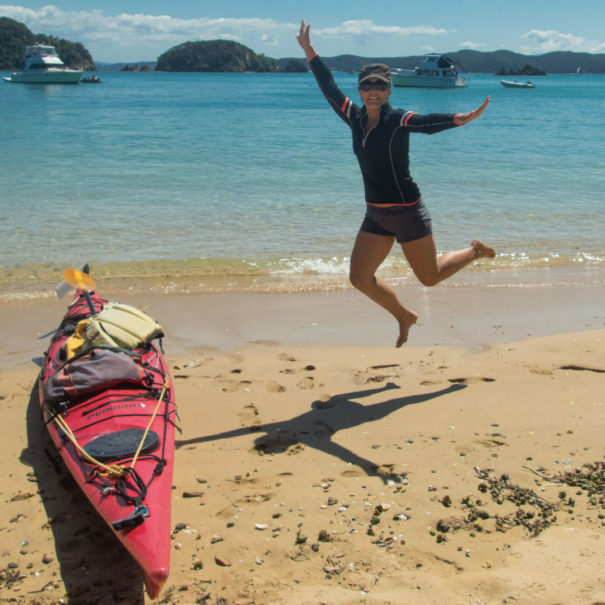 A true Bay Of Islands adventure activity! 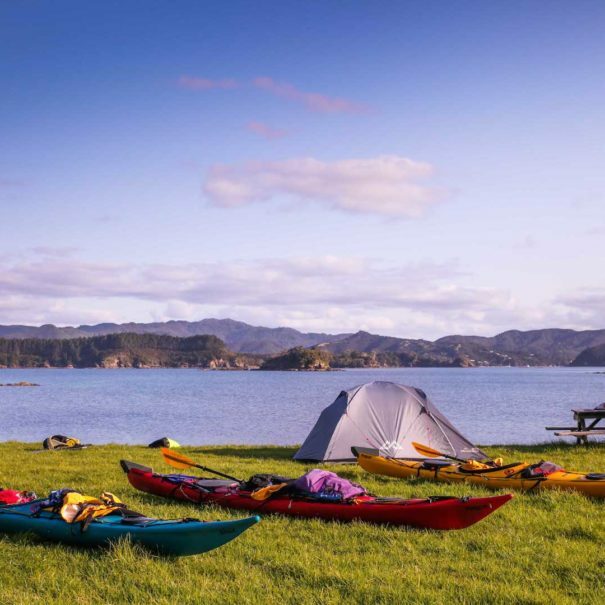 Kayaking, Camping, Snorkeling, Hiking, Sunbathing, Amazing scenery, Beautiful beaches, unique NZ Flora and Fauna all combined to make our tours some of the most unique in the Bay Of Islands. A wide range of trip durations from day tours to multi-day tours of up to 10 days expeditions. 2019-20 Schedule is up! Take a look at our Tours and Expeditions scheduled. 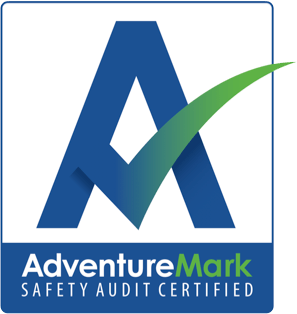 As one of the first sea kayak operators/outfitters in New Zealand - with over 30 years experience in this area - we continue to be passionate about our trips! Our trips are usually small groups and we can customise the experience. 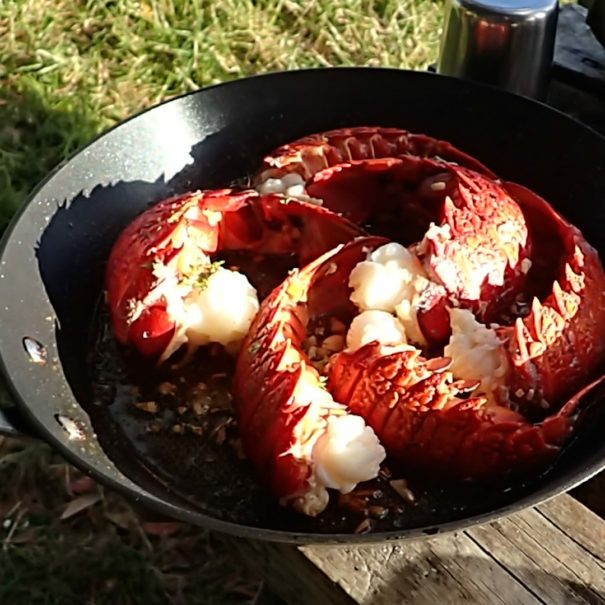 Count on delicious meals with local produce, the possibility of freshly caught seafood and home made desserts. We specialise in leading adventurous ocean kayaking trips! Technical paddling and deep water re-entry safety skills are taught on most trips. 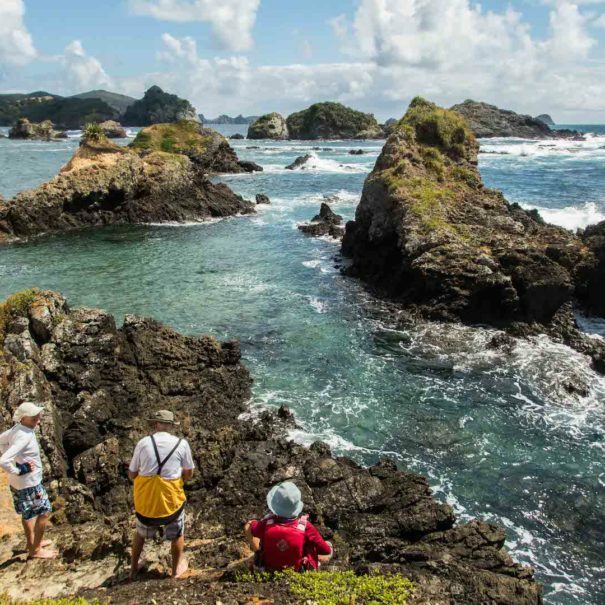 We get out to areas not visited by other tour operators. 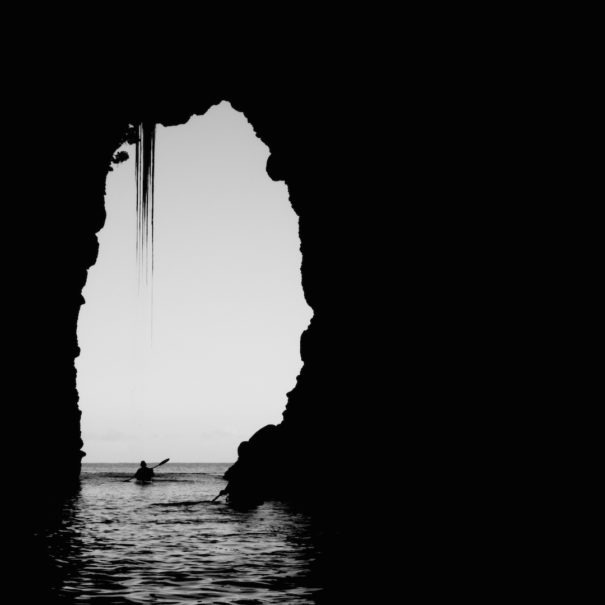 Rock gardening, sea caves and kayak surfing are available for those looking for additional challenge! Attention to detail...whether it be the meals we serve, our care for the environment, the equipment we provide or our risk management is always carefully carried out. Guides are First Aid and CPR trained and the head guides hold NZOIA guides qualifications. 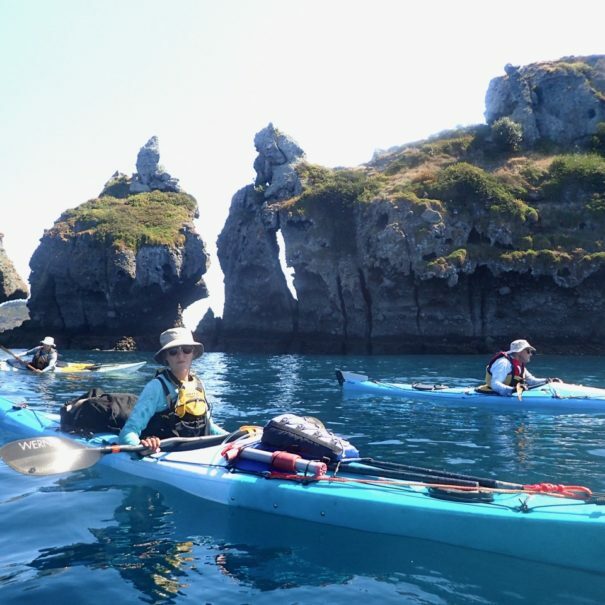 Customised kayak trips can be arranged all year round for group of any size. The only kayak company around willing to plan a day just around you! The Far North is a paddler’s paradise whatever you ability level. Discover this serene, magical and often forgotten parts of the far north. 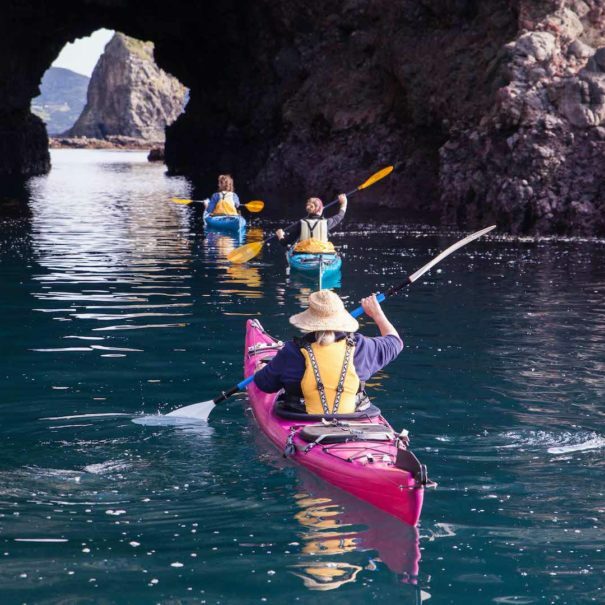 3 or 5 day Kayak Tours of Whangaroa Discovery, Bay of Islands Classic, Comfort Kayaking or Cliffs and Caves. 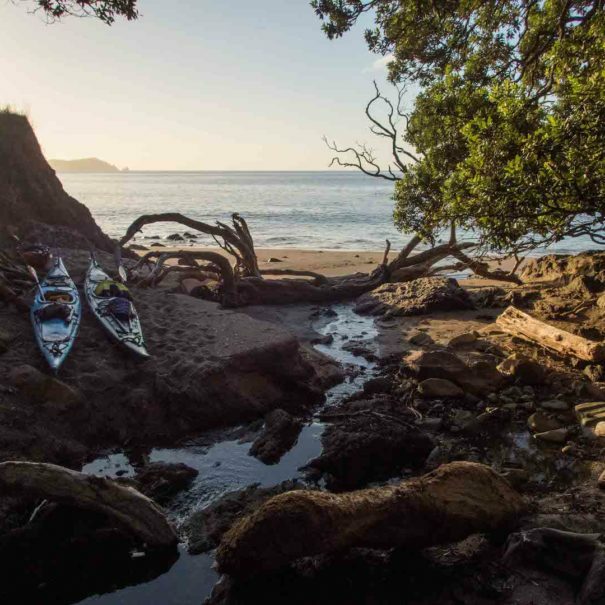 An expedition style journey encompassing the coasts both north and south of the Bay Of Islands. Come on this trip and learn advanced techniques for paddling on a remote coast. Come and join the thrill and excitement of kayaking. Choose between Day tours, multiple day tours and advanced 10 day expedition tours. Discover this serene, magical and often forgotten part of the far north! New expedition in a new location! Land on surf beaches, camp in the wild and challenge yourself in the never ending rock-gardens.